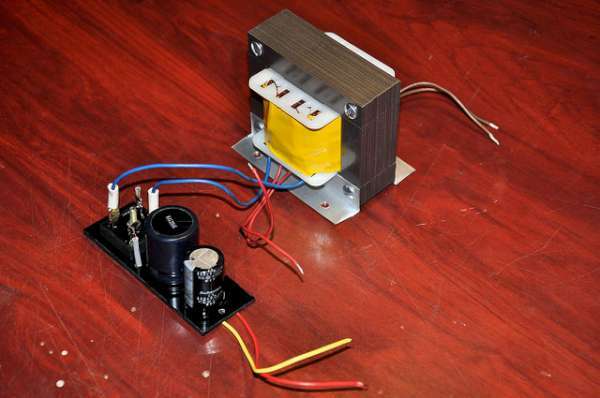 This is a second article related to Mullard 3-3 Amplifier Project and in this article we introduce HT transformer and HT power supply related to this amplifier. As mentioned in previous post, power supply unit of this tube amplifier is constructed using 400V 5A bridge rectifier, 220µF (400V) and 82µF (400V) electrolytic capacitors. The most vital component of this power supply is HT transformer and due to limited availability we construct this transformer by ourselves. More details at Dilshan Jayakody’s blog. This entry was posted on Tuesday, February 23rd, 2016 at 1:34 am	and is filed under DIY. You can follow any responses to this entry through the RSS 2.0 feed. You can skip to the end and leave a response. Pinging is currently not allowed.